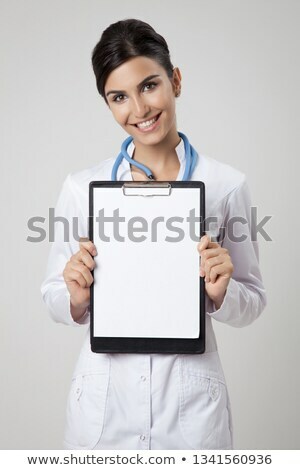 Foto stock: Enfermeira · médico · assinar · clipboard · cópia · espaço / Nurse showing medical sign clipboard copy space. 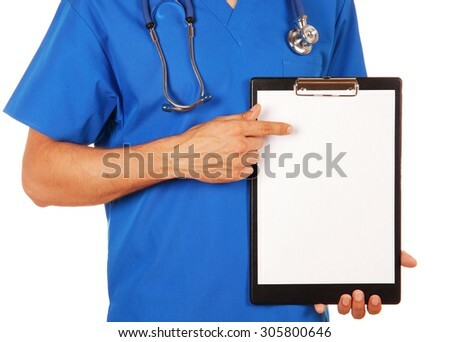 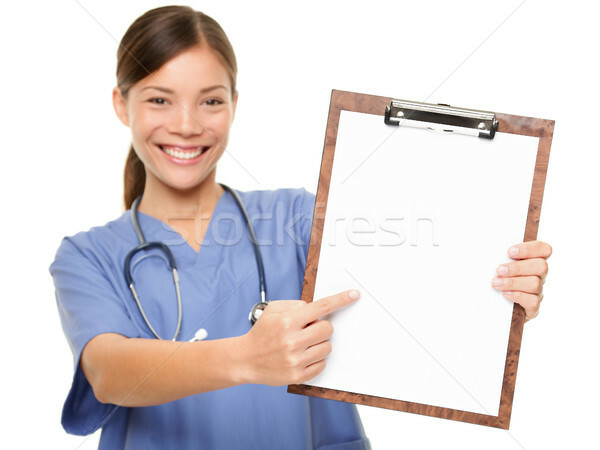 Female medical doctor or nurse pointing at blank empty copyspace. 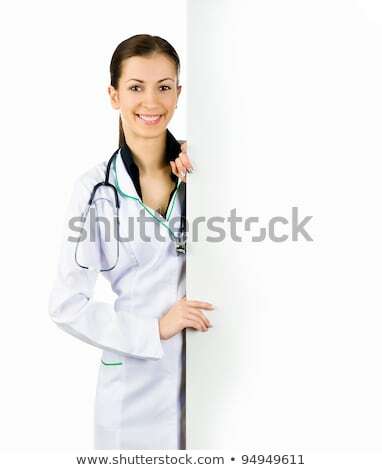 Young mixed race Asian Caucasian woman model in blue scrubs isolated on white.